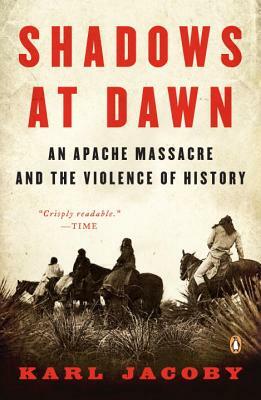 In April 1871, a group of Americans, Mexicans, and Tohono O?odham Indians surrounded an Apache village at dawn and murdered nearly 150 men, women, and children in their sleep. In the past century the attack, which came to be known as the Camp Grant Massacre, has largely faded from memory. Now, drawing on oral histories, contemporary newspaper reports, and the participants? own accounts, prize-winning author Karl Jacoby brings this perplexing incident and tumultuous era to life to paint a sweeping panorama of the American Southwest?a world far more complex, diverse, and morally ambiguous than the traditional portrayals of the Old West. Karl Jacoby is an associate professor of history at Brown University and the author of Crimes Against Nature: Squatters, Poachers, Thieves and the Hidden History of American Conservation, which was awarded the Littleton-Griswold Prize by the American Historical Association for the best book on American law and society and the George Perkins Marsh Prize by the American Society for Environmental History for the best work of environmental history.